Here’s the post you’ve all been waiting for… (or not 😛 ). It’s now the middle of February so I thought it was about time to do a recap of January’s £1 a day challenge. Did I make it to the end of the month? Did I spend more than £1? Did I survive? So first things first, I made it to a few days before the end of the month and my willpower crumbled. My body craved juice and fruit and I caved in. Hey! It’s not like I gorged myself on junk food, I simply indulged in a much needed vitamin fix. Aside from my fruit and veggie cheat, I also had one sneaky pint of cider and three vanilla soy latte’s over the entire month. The rest of the time I stuck to my budget. What did I learn in my challenge? I learnt that I can live comfortably and eat reasonably well on a much smaller budget. Preparation and forward planning are key to spending less money. I always made extra whether I was making rice, potatoes, salad… That way I had a quick and easy lunch or dinner for the next day. I made a lot of banana bread and flapjacks and carried these around with me ready for the times when I feel as hungry as a hungry hungry hippo! I’ll share my flapjack recipe with you, which I edited this evening and it turned out amazing. This recipe makes 9 large or 12 regular sized flapjack cake bars, high energy vegan snacks for active people. So aside from that little recipe tangent, yes! I survived the month. Survived is the key word here. I didn’t exactly feel like I was thriving due to the high amount of bread and wheat I was ingesting regularly. Free bread? I’ll take it. Free pie? Cheers. Cheap crackers? Yep I ate them. Do I plan on continuing on my £1 a day challenge? Hell no! Whilst I am restraining myself on unnecessary indulgent food purchases, my love of good, organic food is still strong. I really enjoy playing with food, cooking for my friends and making delicious food for myself to enjoy every day. Food is my favourite hobby. I love to try new things and create exciting delicious goodies. I shall however, most certainly be making home brew on the regs. That stuff was delicious like nothing else and so easy to make. Hello, did somebody say pumpkin pie? 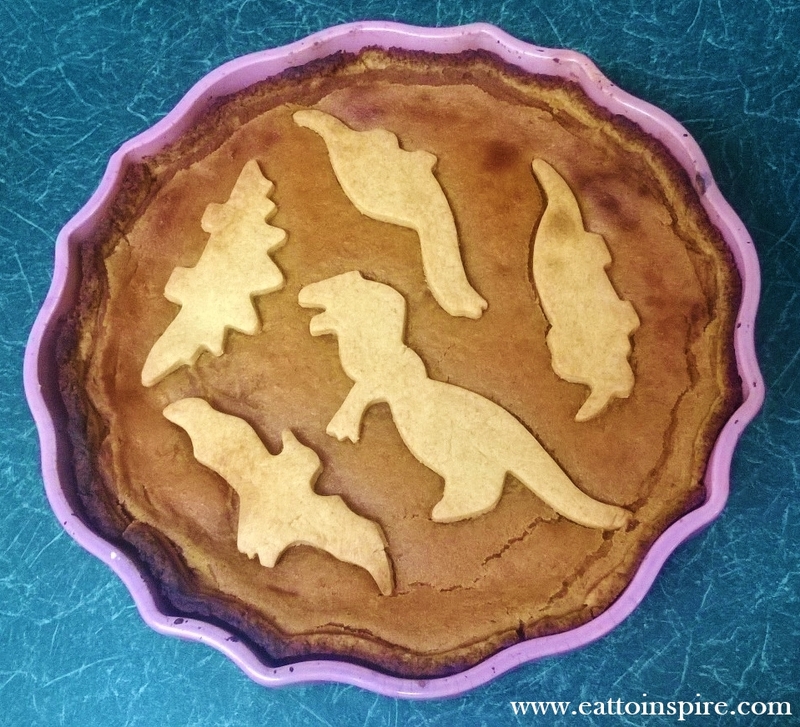 I used the classic vegan pumpkin pie filling from Oh She Glows. I freestyled and made my own vegan crust and it was da bomb. I used 400g flour, 200g vegan margerine, 1tbsp cinnamon, 3tbsp sugar and a wee bit of water to make it all come together. I made two of these bad boys over the month and every morsel was eaten by myself, hungry housemates and hungry workmates. 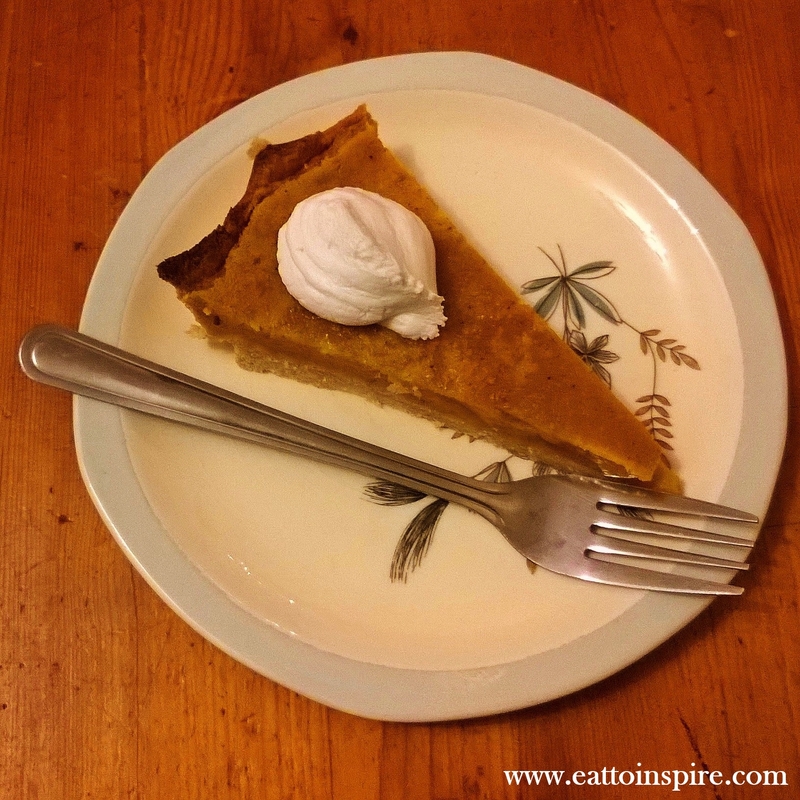 If you have an old pumpkin knocking around you should definitely give this pie a try. This pie would also make a great valentines day gift for the pie lover in your life. Well, I’m going to go and cook up some deliciousness for my single lady friend date tomorrow.